Lost or stolen cards must be deactivated immediately by the cardholder via the VSU 1Card Online Card Office (available 24 hours a day, 7 days per week). The cardholder is responsible for any transactions made with his or her VSU 1Card until the card is properly reported, as described above; cards cannot be suspended by phone, email, or fax. If the card must be replaced, the fee is $20. Valid forms of payment are cash, check, or FLEX. 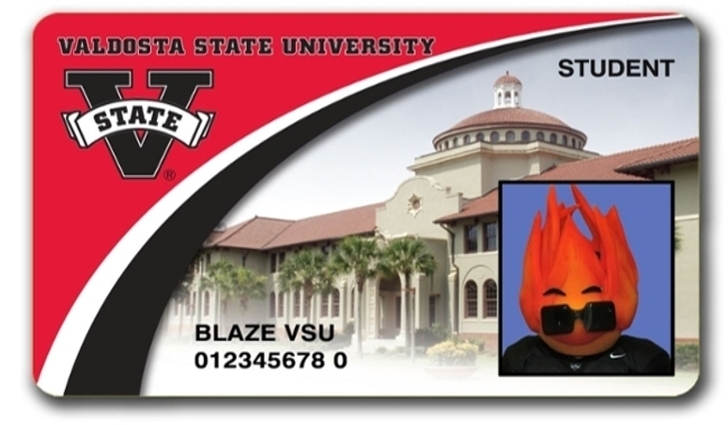 Two (2) forms of ID are required in order to obtain a new or replacement VSU 1Card (one form must be a government-issued photo ID, and the other form must have the student's name pre-printed on it). Only the latest card printed is valid; old cards cannot be reactivated if a replacement card has been made. Retain your VSU 1Card upon leaving VSU. If you return at a later date without it, you will be charged a replacement fee. *If you find a 1Card, please return it to the 1Card Services Office via Inter-Campus Mail. Cards can also be delivered to our office in-person during our normal business hours. Students will be notified by a 1Card Services employee once the card is in our possession.